Home 2016 motogp Valentino Rossi 2016; What a Season! Qatar- We saw the season to start with a bang. With the bike engines, roaring and the fans screaming. It was Lorenzo on the Yamaha M1, who came out on top. It was a hand race, with plenty falling off amongst the harsh twists and turns. Thee track is loved by the racer due to the kilometer long start finish line. As long as you can get good exit speed from the last corner, the straight can be your best friend throughout. Rossi seemed happy with his forth position, come forth a few second behind the leaders, is better than coming second or third being five to ten second behind pole position. Argentina- Second race in the season. A second winner. Marquez takes a faultless ride throughout. But once again, the track claims its victims. Both Cal Crutchlow and Alexis Espagaro bother come off, unharmed and able to re-join the race. But with Rossi and Dovizioso fighting it out, this gave Marquez a further lead. It was unfortunate for Lorenzo, with 15 laps left after the start finish line, perhaps distracted by his pit board, he drops it on the first turn. Red Bull Grand Prix circuit of the Americas- With a top speed of 345.2 KPH, it is a track to be reckoned with. The track is a mirror of some of the most famous tracks, with more left corners, it is a difficult track in harsh condition. But once again, we see Marquez hit the podium in the first place, with Lorenzo not far behind and then Iannone coming third. It was an unfortunate end of Dovizioso, for the second time, he was taken off by another rider, this time it was Perdrosa. They were both unharmed. Pedrosa was able to re-join the race, but it was a frustrating end to steady race by Dovizioso, as he was unable to get back. Jerez- At 4.4 KM long, a top speed of 259.9 KPH. It was Valentino Rossi who managed to fight his way to the top spot, with Lorenzo two seconds behind, and Marquez, another seven seconds behind. It was here we heard the news. News of the century almost. Lorenzo, in 2017 will be riding in Red with Ducati! A shock to the system for most fans. I find mixed views on the topic, some are excited to see him pursue a new goal, and others are worried. After what could be described as a bit of a disaster two years for Rossi, some fans are worrying it might happen the same to Lorenzo. Le Mans- It was an odd race, but exciting, to say the least. There was yet another new man on the podium, Maverick Vinales taking second. With second and third place coming off at nearly the same time, Marquez and Dovizioso taking a b-line for the gravel trap. By the fourth round, Marquez is ahead with 82 points, Lorenzo in second with 65 and then Rossi with 58. It is a huge lead to pull off, in just four rounds. Mugello- Round five of the Moto GP season was a fiery one. With Rossi on pole, he was ready to end his losing streak there, he hasn’t won since 2008. With Marquez dominating the race, Lorenzo and Rossi are free to battle it out between themselves. But it was a frightful end for Rossi, as he crashed out and did not manged to recover his bike and get back out. Marquez drops as well, but he manages to get back into the race and bags 13th place. The three points, were important to gain as they kept him a head in the championship. Catalunya- It was a cracking race with Rossi coming out on top with Marquez and Pedrosa close behind, it also put Lorenzo on the ground, who crashed out for the second time so far in the season. It wasn’t going well for Lorenzo, who needed to catch up to Marquez. It was also a sad day for the British fan, as Bradley Smith crashed out as well, leaving Cal Crutchlow on the LCR Honda to carry the weight for the Brits, he came to an admirable 6th place, and Scott Redding on the OCTO Pramac Yakhnich Ducati who came 16th. Assen- The seventh round introducing yet another new winner to the season in the raining conditions. Jack Miller, who started from 19th on the grid after qualifying, managed to push his way up the grid to pole position. It was an incredible race for the 21-year-old, his skill is undeniable in the race. But Marquez might have stolen the show, he crashed on the out lap, he abandoned the bike and commandeered a photographer’s scooter to get back to the bits to get his second bike. Sachsenring- It was a proud moment for the British rider, Cal Crutchlow who had been struggling all year, he managed to bag an impressive second place, next to Marquez and Dovizioso in a close third. With Lorenzo down in 15th and Rossi in 8th, it was hard to say what would happen in the next round, with them both trying to catch up with Marquez. Nerogiardini Motorrad grand Prix Von Osterreich- Once again, in the 10th round of 18, crowned a new pole position of the year. It was Iannone who took pole position, his skill as a rider was admirable, to say the least. His fellow team mate, Dovizioso, came second. Then it was the Movistar Yamaha’s in third and fourth and Marquez bringing up the fourth position, while his team mate, Pedrosa came seventh. Czech Republic- Round 11 was explosive. Especially for the Brits. YES! You know what I am talking about. We were all creaming at the TV and cheering for Cal Crutchlow. Once again he shows off his amazing skill and perseverance as a rider and heads the top of the grid. 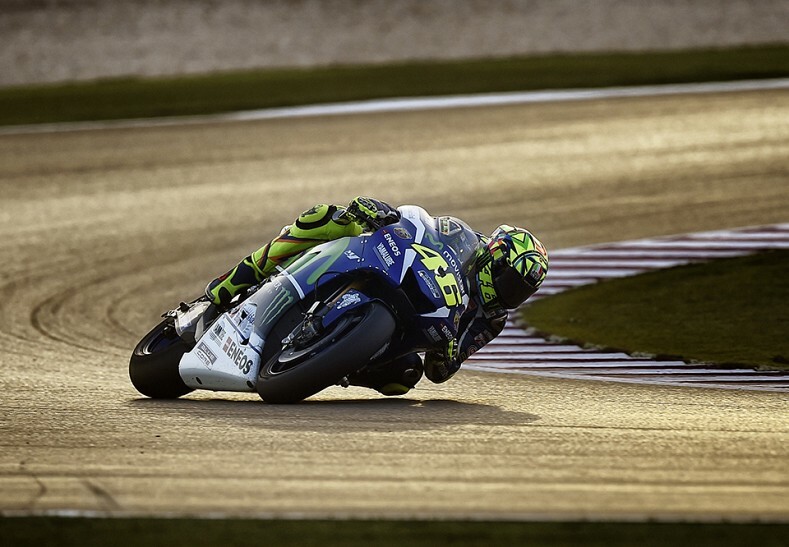 With Rossi on the M1 Movistar Yamaha, seven seconds behind. It was a close race, with Crutchlow lagging in 15th position in the early stages it was staggering to watch him move up the grid. It was a shocking end for Lorenzo who ended up in 17th position, just outside of the point. Silverstone- It was the Brits turn to see what they can do on home turf. At long last, a time to shine for their home crowd. Once again, it was a fantastic race once again Maverick Vinales tops the grid with another pole position, with Cal Crutchlow, once again just missing the mark in second place. But it was still a brilliant ride for him. Lorenzo, once again missing the mark for a podium finish and ends the race in 8th position. Rossi, however, manages to stick the front end of his Yamaha in the third position with Marquez a second behind him in fourth. Misano- Once again, another new podium winner in the shape of Danni Pedrosa, who deserved every ounce of the first position. It was a stunning race. Faultless from the Spaniard. After a hard first half of the season, he fought tooth and nail for this win. He managed to get above all three of the ranking leaders of the championship. Valentino Rossi taking a champion second, Lorenzo being pushed down to third, but unfortunately for Marquez, he found himself in a dismal fourth place. Aragon- With Lorenzo holding the world record for this track, it would be fair to say he would be comfortable with this track. With seventeen corners, it would be enough for battling. But once again, it was the number 93 of Marquez sitting on pole position, with Lorenzo in second place and Valentino Rossi back in third place. It was a heroic session for the three of them. Through the free practice and warm ups it was hard to tell who would end up on pole position, and once again it was Marquez who get his tires firmly on the top spot. Motegi- This was an intense situation to be in for this race. As it was the make or break for the world championship title. Marquez was fighting for first, he would be hitting hard for his 5th title since he started in the Moto GP. It was hard to determine what was going to happen. 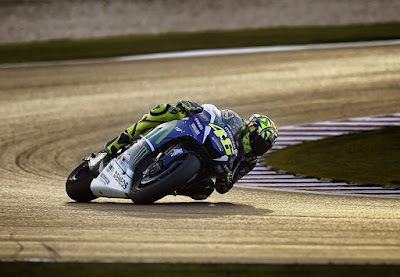 The Twenty Three-year-old was hoping to clinch the title from Rossi and Lorenzo. All three of them were fighting hard, but in a strange event of both Rossi AND Lorenzo crashing, it sealed Marquez’s fate for the Championship title. This was the end of the Championship, but it wasn’t the end of the battles through the last three races. These were to decide where the racers were going and what they had to do to get places they wanted. But it was still undecided for the second and third place. Philip island- In the third to last round of the season, it was all to play for. Although it wasn’t so much of a good race for Marquez, as he crashes out at turn 4 in the first position. It was a return for the Kentucky Kid who was standing in for Pedrosa was injured. But it was Cal Crutchlow, once again who stamped his authority down on pole position. Once again, it was a proud day for the new father. Rossi threw his all into coming second with Vinales in a triumphant third place. But it was a bitter fight till the end, as Dovizioso and Pol Espagaro who pushed Lorenzo back in 6th place, only adding another 10 points to his third position in the championship. It was going to be a tough end to the season for the two to battle it out. Sepang- So with only two races left, the standings looked like this, the championship trophy had already been given to Marquez, but the second and third place were still up for grabs. With Rossi currently in second, with 216 points, and Lorenzo in third with 192 points, the fans were ready for another explosive race. But the atmosphere was somber and there were many tributes to the extraordinary Marco Simoncelli. The racing world lost an icon in 2011 and for a lot of fans and riders alike it had been a difficult loss to come to terms with. But even with the heavy hearts, the men didn’t fail to deliver. But it was Dovizioso who landed on top, with Rossi in second place three seconds behind the Ducati. Valencia- The final race of the season. A corker of a race. Intense and surreal to say the least. With Lorenzo out to prove a point. For the 2017 season, he was leaving Yamaha to try his hand to the Ducati team. He wanted to leave the Yamaha team with one final win. He definitely looked like a man on a mission, dominating most of the free practice and warmups. In the race, he gets a flying start from the line. It was a fast race, with Lorenzo taking the fastest lap, and breaking the record. It was a great final race, and it clinched the last of the places for the Championship. This leaves the second place to Valentino Rossi, with 249 points, and third place to Jorge Lorenzo with a final total of 233 points. So all in all, it was a pretty fantastic season. High and lows of crashes and great wins. I am glad to have been part of this season, 2016 has seen some pretty amazing triumphs and major falls. But 2017 is going to be interesting with many different changes and moves through the classes. So stay tuned to the Moto GP for updates and get ready for the new season heading your way.